As if finding the right venue or the right photographer isn’t difficult enough, brides are also faced with the daunting task of choosing the right woman to lead their bridal party. Choosing a maid of honor is a tough decision to make. By the time a woman gets engaged, she has created many relationships and determining which one is most valuable or honorable is a stressful decision to make. Many brides find it unfair to choose between friends who have played a huge part in different aspects of their life, but it must be done in order to create a stress-free, fun, and effective wedding experience. Choosing the right maid of honor is a crucial decision, which can ruffle a few feathers if not chosen appropriately. Select a maid/ matron of honor who has the time to engulf herself into your wedding. Brides should choose some on with similar style, taste, and personality. There is no fun in choosing a maid of honor who will turn her nose up on your decisions you make. 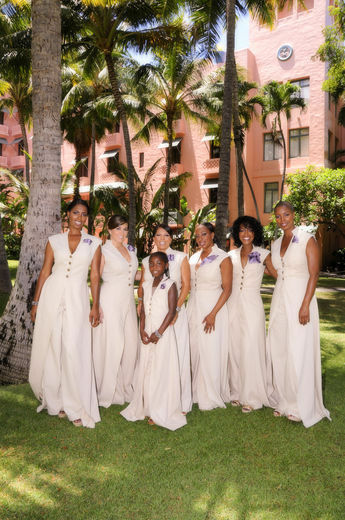 Plus, keep in mind that the maid of honor leads the bridal party in planning your pre-wedding events. She will be taking the lead and making decisions about your bridal shower or bachelorette party. Make sure there is someone leading them who knows your sense of style. It’s important to select a maid/matron of honor who is not afraid to lead and to enforce the brides’ wishes. Pushovers will not work. Choose someone who can create timelines and schedules, disseminate important information, diffuse issues, sensitive to the feelings of others and know how’s to get results. Finances should not be the only factor considered when choosing a maid of honor, but it is a very important factor. You don’t want to choose someone who will cost you money. Its important to choose a friend who can cut costs, create a budget and rally the bridal party to help finance some events, and who can pay or help with the pre- wedding events. You also don’t want to choose a MOH that is not financially capable and burden them with additional finances they cant afford to pay. There are many duties expected of the MOH, be sure to select someone who you can count on to get their dress, keep bridesmaids in line, and show up to all events on time. Since the MOH will be dealing with your other friends who she may not know, it is important to choose a very friendly person who will not mind making new friends. It is important to select that one friend who never lets you down, has always had your back, has attended many of your special events in the past, knows your fiancé and family and has played a huge part in your life. Choose the friend who you can count on and who has been an amazing friend to you. 9. Chooses a local friend or a friend who is willing to respond adequately to Skype, emails, Facebook and etc. If it is possible, it’s best to choose a MOH in your local area. A local MOH of honor can better assist you in the wedding planning process. 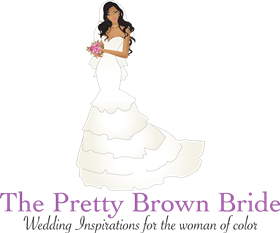 She can attend bridal shows with you, run errands, help interview vendors, and offer more support. If it is impossible to select a local MOH, then choose someone who you can count on to respond to emails, research wedding related items online, and someone willing to hold conference calls with you and your bridesmaids. It’s important to choose a friend who can write a funny, sweet, and effective speech. Choosing a shy MOH will leave you without a toast or searching for someone to fill in. Do you have a great MOH?